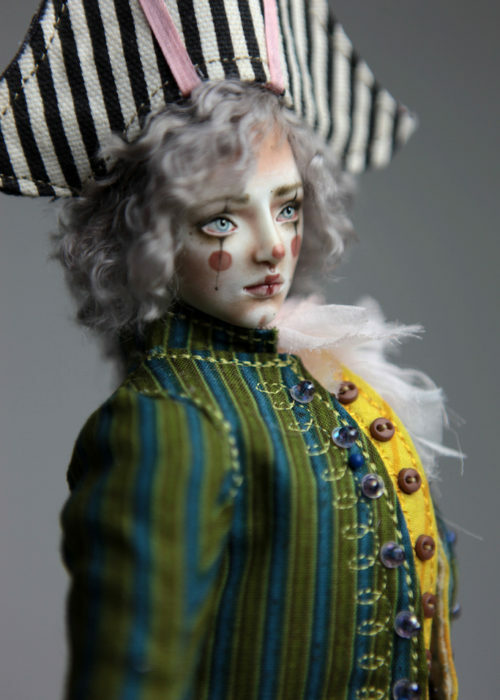 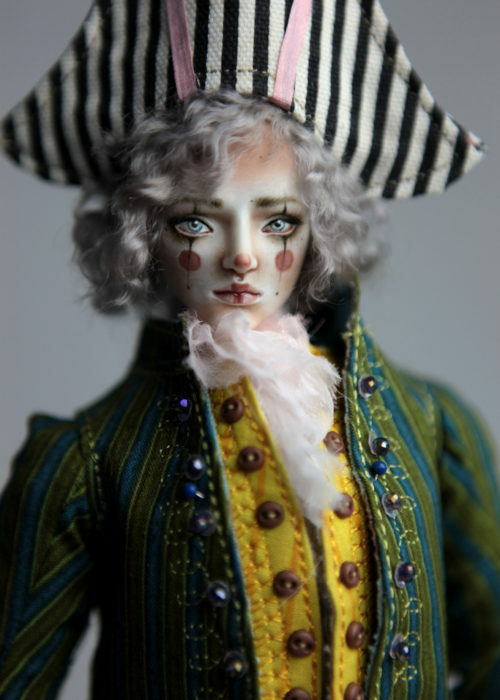 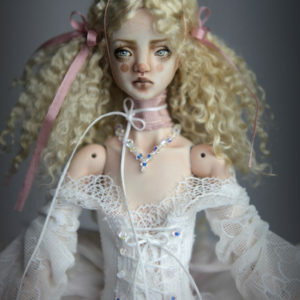 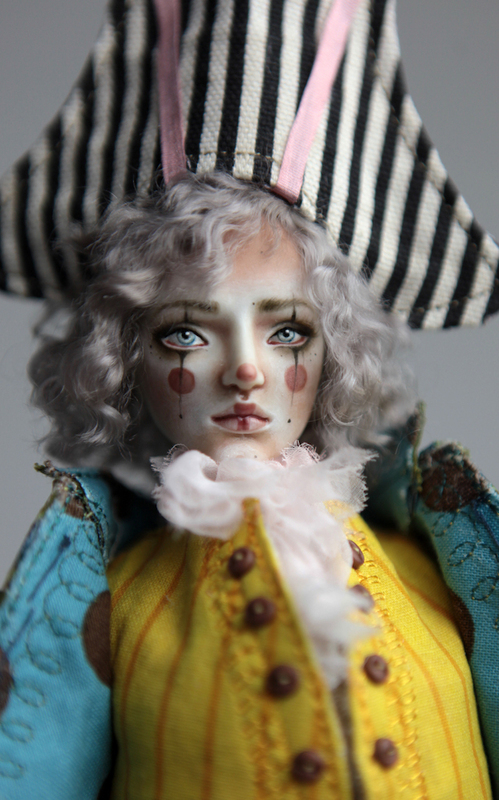 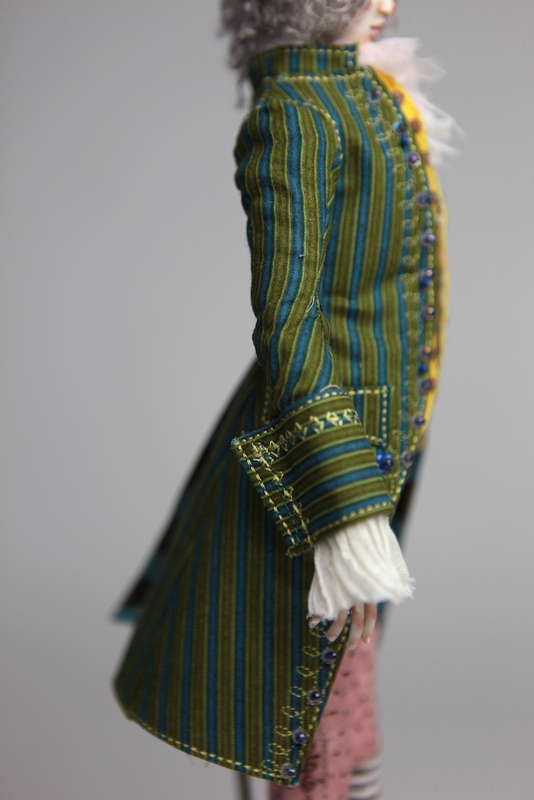 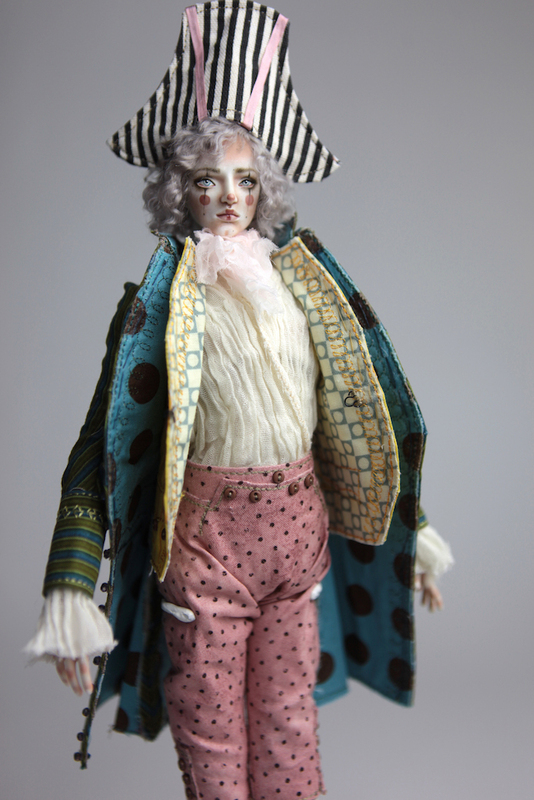 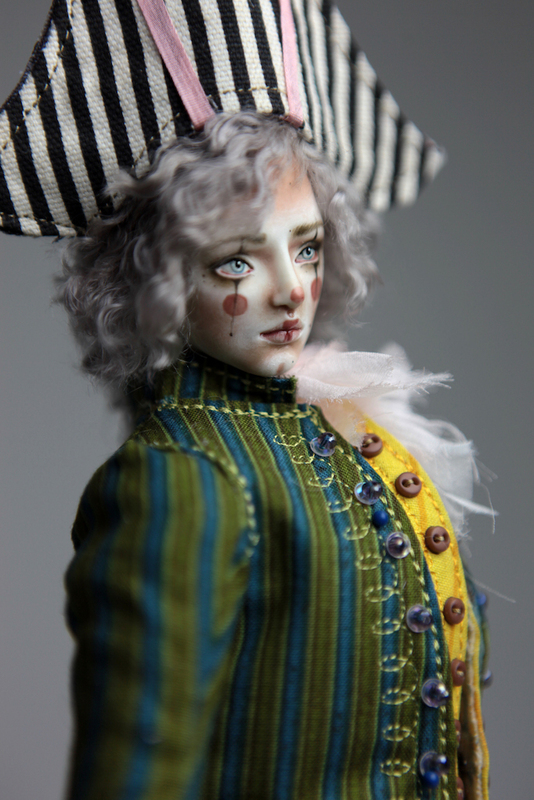 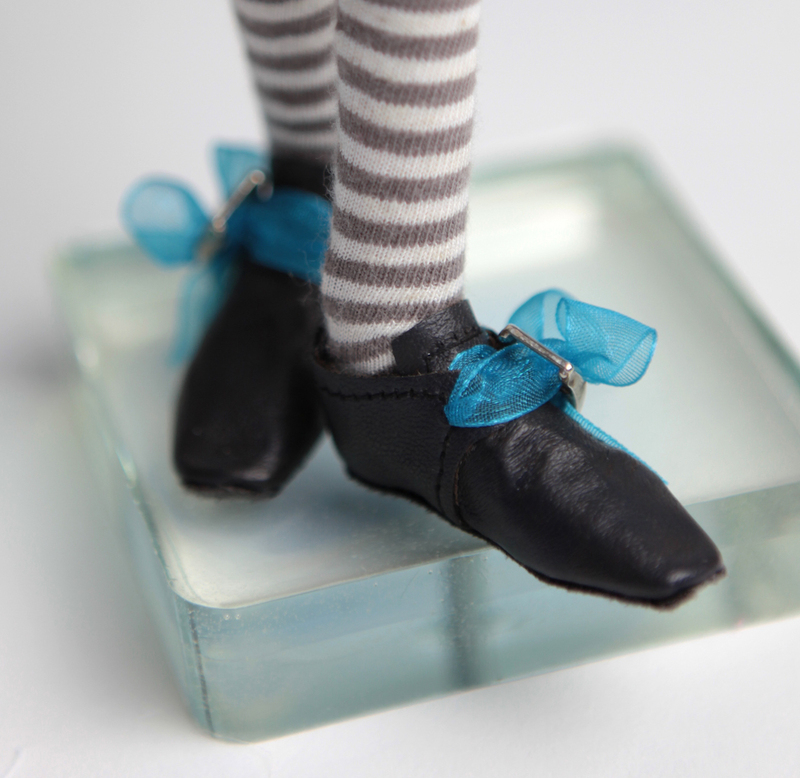 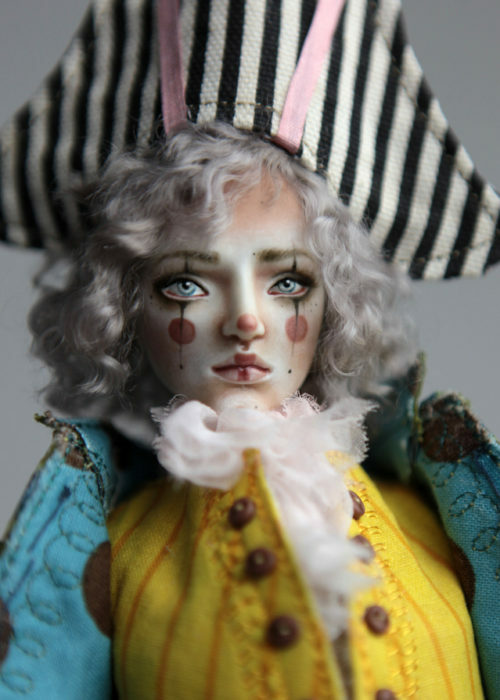 From our 16″ Fine Art BJD Doll Collection. 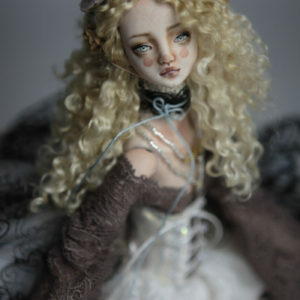 Extra joint on the neck to make this intriguing looking poses. 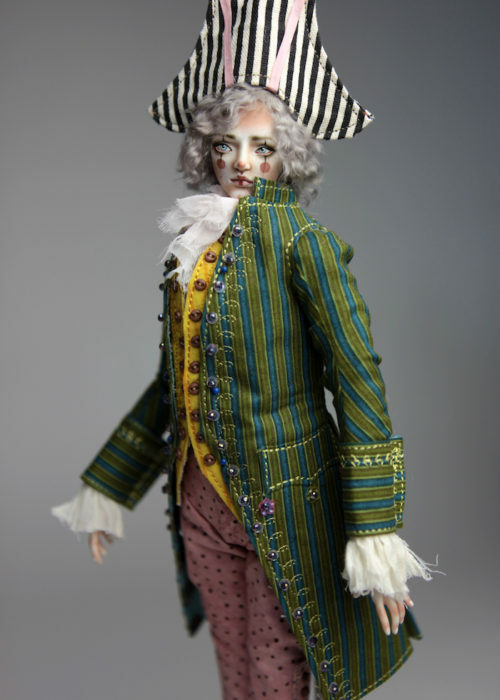 Brand new exquisite elaborate hand dyed and hand made Victorian style removable wig. 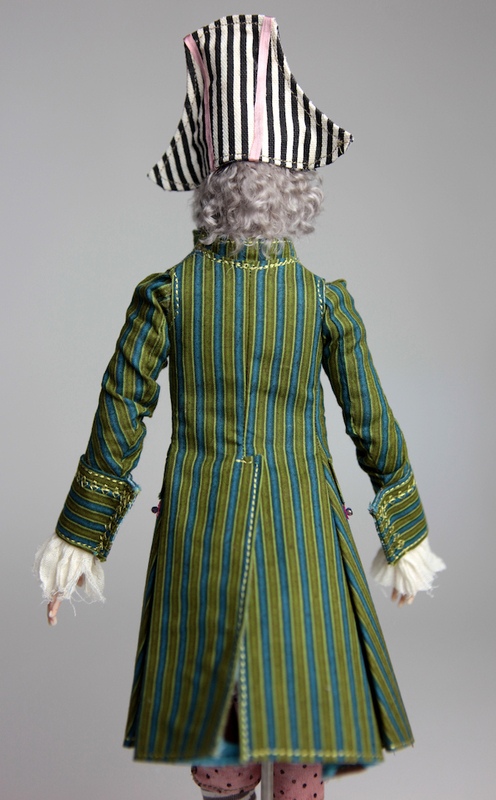 Tiny hand made removable hat, and victorian collar. 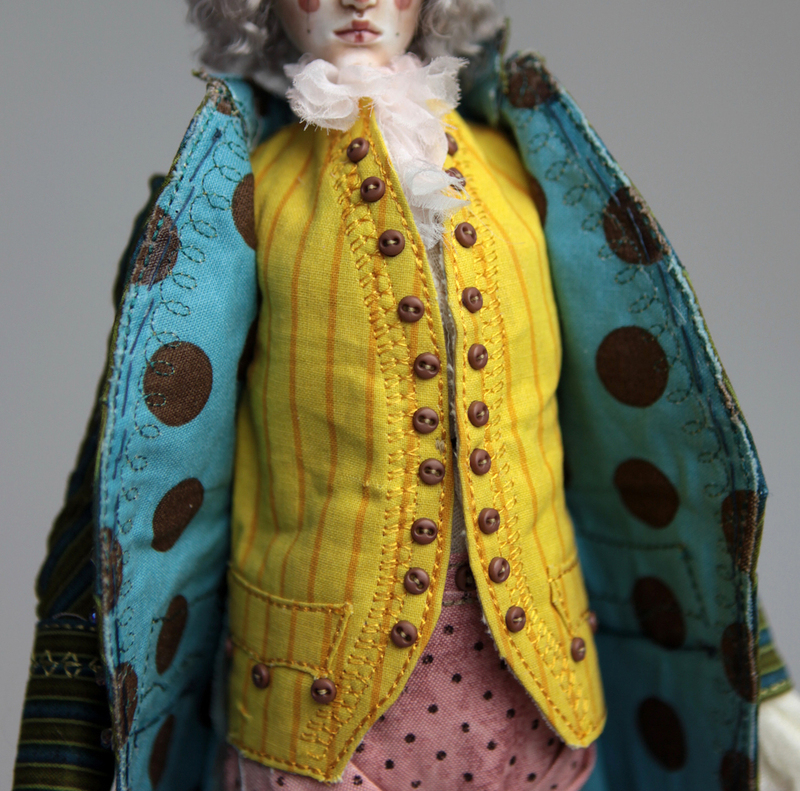 Multi layered hand made outfit. 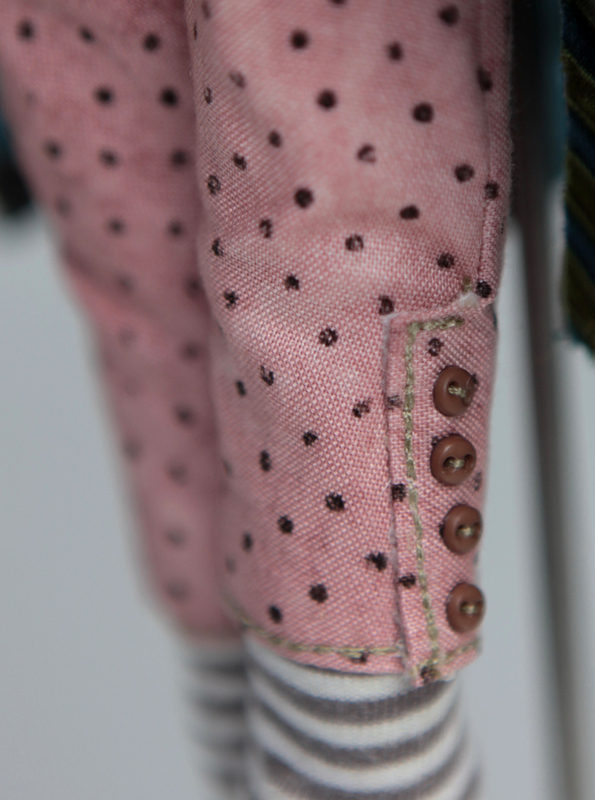 The outfit ensemble: Shirt, Pants,Jacket and Stockings. 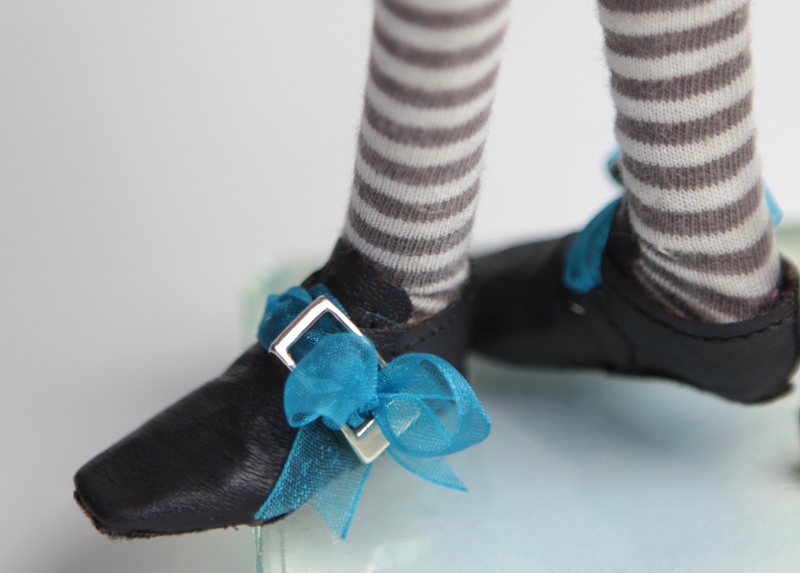 Victorian style shoes are also hand made.